There are multiple switches in the market and their count of ports can come with 8, 12, 24, 48, etc. Among them, 8, 24, 48 port switch are more commonly used. Well, what should be considered before buying 8, 24, 48 port switch? Are there any recommendations for it? What to Consider Before Buying 8, 24, 48 Port Switch? When buying 8, 24, 48 port switch in the market, you can consider the following factors. Features – The Gigabit switch has many features. Except for the basic features like VLAN, security, warranty and so on, you’d better take switching capacity, max power consumption, continuous availability into consideration. Moreover, stack and fanless designs are considerable factors as well. Stack design is able to save the place and fanless design helps reduce the power consumption and noise. Besides, you can choose managed switch or unmanaged switch and the former offers better performance than the latter. Switch ports – Except for the number of ports which should be considered, there are some different types of ports based on their port speeds. For example, RJ 45 port, SFP port, SFP+ port, QSFP+ port, QSFP28 port, etc. You can choose a suitable one according to your need. Price – The switches from famous brands are usually costly and there are some three-party networking vendors offering cost-effective switches. 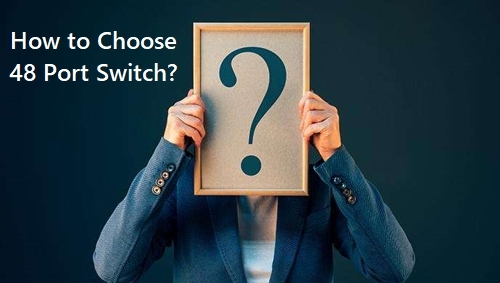 If you have limited costs, you can consider buying switches from reliable three-party vendors. The right Gigabit switch should meet the needs of your organization and keep your network running efficiently. Here are some switches recommendations for you. If you have only a few devices to be connected, this 8 port Gigabit switch may be a good choice. 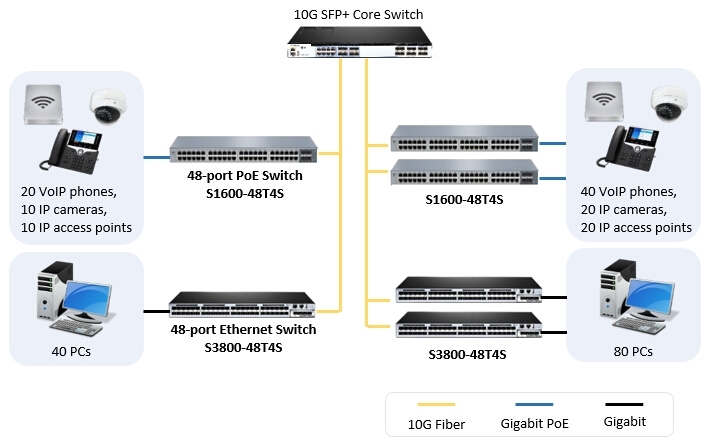 FS S1150-8T2F 8 port Gigabit PoE+ managed switch has 2 SFP ports, which transmission distance is up to 120km. It is highly flexible that controls L2-l7 data based on physical port and has powerful ACL functions to access. What’s more, it features superior performance in stability and environmental adaptability. This 8 port switch may be one of the best gigabit switches for home network, including weather-proof IP cameras with windshield wiper and heater, high-performance AP and IP telephone. If you are looking for the best 24 port Gigabit switch, this S1400-24T4F managed PoE+ switch would be one of your proper choices. It comes with 24x 10/100/1000Base-T RJ45 Ethernet ports, 1x console port, and 4x Gigabit SFP slots. It can protect the sensitive information and optimizes the network bandwidth to deliver information more effectively. This switch is the best fit for SMBs or entry-level enterprises which need to power for the surveillance, IP Phone, IP Camera or wireless devices. When you need to uplink a Gigabit SFP switch to a higher end 10G SFP+ switch for network upgrade, this 48 port switch can meet your demand. 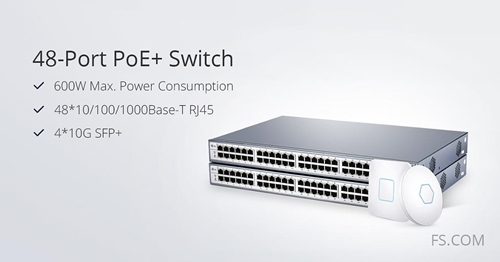 FS S1600-48T4S PoE+ switch offers 4 SFP+ ports for high-capacity uplinks. It also provides integrated L2+ features such as 802.1Q VLAN, QoS, IGMP Snooping and Static Routing. What’s more, this solution makes it easier to deploy wireless access point (AP) and IP-based terminal network equipment with PoE technology. This switch would be one of your choices if you need the best managed switch for small business or data center. The best Gigabit switch is the one that suits your network most. When you buying 8, 24, 48 port switch, remember to consider the factors mentioned above. FS provides various switches with high-quality and high performance. If you have any needs, welcome to visit FS.COM. As a core hardware device in data centers, network switch is vital for setting up a reliable network. Meanwhile 48 port switch with high port density has become popular among enterprise-class, small to midsize and even home users. However, how to buy an optimal 48 port switch for different network environment confuses many people. This article will make an analysis of 48 port switch for your buying guide. What to Consider for Buying 48 Port Switch? To buy an optimal 48 port switch for your network, one should take several factors into consideration. Above all, choose managed over unmanaged if possible. 48 port managed switch has advanced features in reliable performance, traffic control, custom management and security regulation. For modern applications requiring for high network privacy and resiliency, 48 port gigabit switch managed is a must. Besides, here lists other important factors for 48 port switch managed selection. What kind of virtualization applications are you implementing? Do they require extra high switching capacity? Generally 48 port switches in the market come with 2 different speed basis: 48 port gigabit switch and 48 port 10Gb switch. 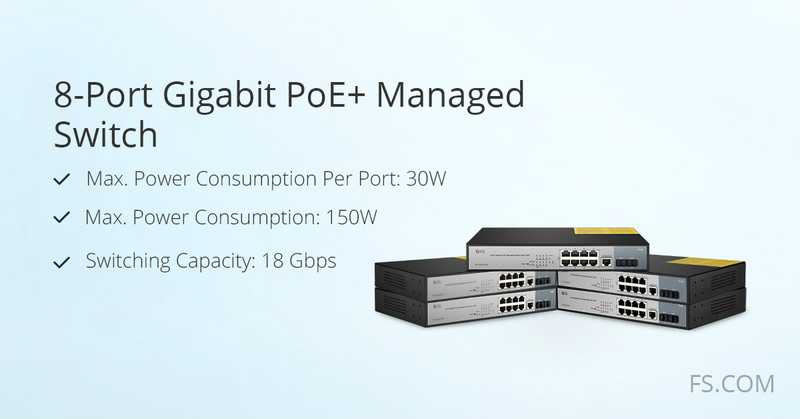 For average customers without special requirements 48 port gigabit switch can well meet their demands. But for speed pursuers 48 port 10Gb switch should be deployed for smooth operation in high traffic. In addition to regular port, pay attention to the uplink port on 48 port switch. 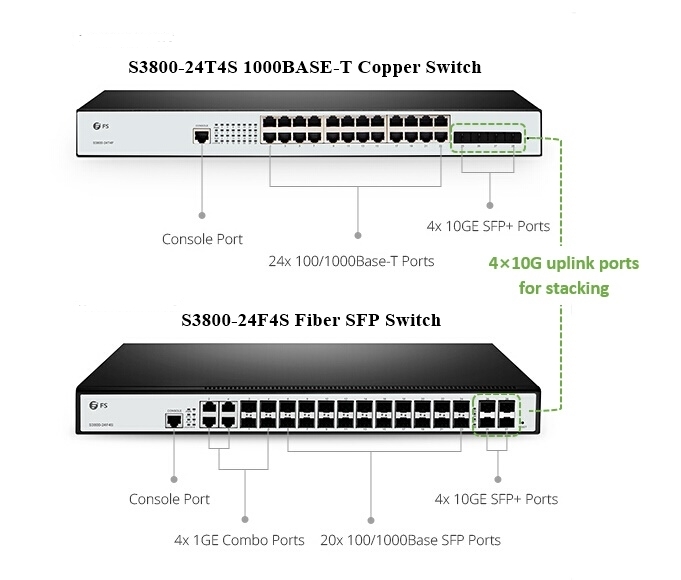 For multiple switch connection, 48 port gigabit switch often comes with several 10G SFP+ uplink ports whereas 10Gb switch comes with 40G QSFP+ or even 100G QSFP+ uplink ports for link aggregation. 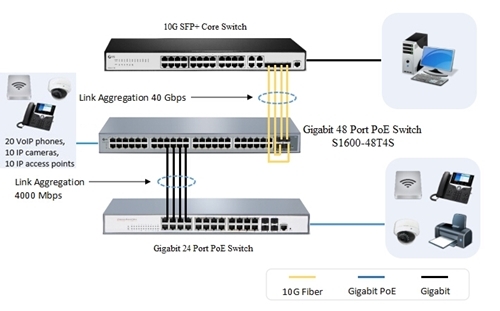 With a few corresponding uplink ports reserved, the 48 port gigabit switch can access to 10G core switch. 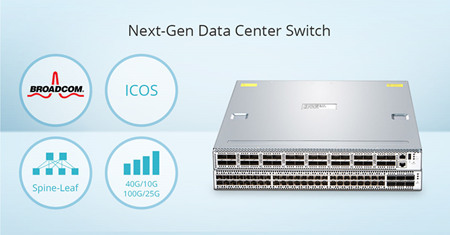 And 48 port 10Gb switch can cater for future demands like next generation Metro, Dater Center and Enterprise networks. For situations where power outlets are unavailable for cabling devices, 48 port PoE switch is a natural fit. A typical aforesaid case is for connecting Powered Devices (PD): IP cameras, VoIP phones and wireless access points (AP). By deploying 48 port PoE gigabit switch, you can easily put an IP surveillance camera anywhere on the ceiling. What Are the Cheap 48 Port Switch Recommendations? You can easily get the best 48 port switch with all advanced features once budget is not a concern. However, most people should note cost/performance ratio to get good but cheap 48 port switch. For good purchasing experience, here recommend you 2 best 48 port switch for reference. 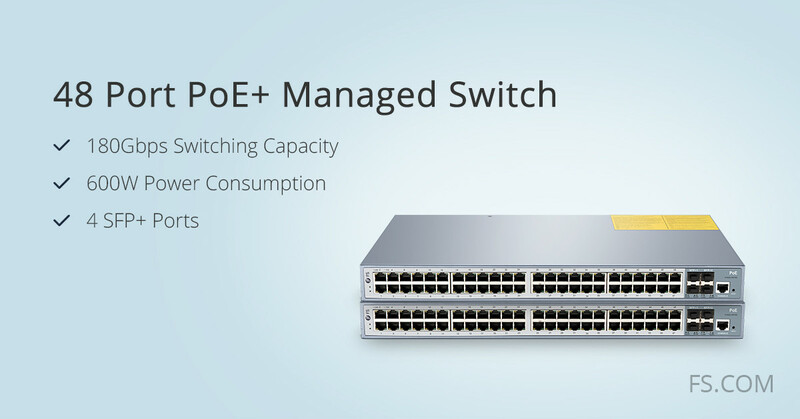 Without PoE capability, here recommend S3800-48T4S 48 port switch managed. 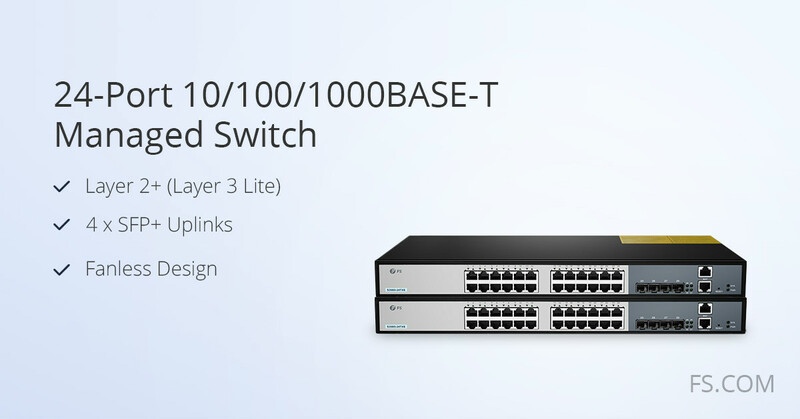 It comes with 48 10/100/1000Mb auto-sensing RJ45 ports and 4 10GE SFP+ uplinks for cost-effective gigabit access or 10G link aggregation. Thus you can easily deploy this 48 port Metro Ethernet switch either in access layer or as core switch. Also, with dual power available this 48 port gigabit switch managed provides redundancy in emergent outage. Figure 1: Deploying FS S3800-48T4S 48 port gigabit switch as access switch and S1600-48T4S 48 port PoE switch for PDs in network layer. FS recommends S1600-48T4S 48 port PoE switch for both 600W high PoE power budget and reliable hardware with software integration. With 48 1000M RJ45 ports and 4 10G SFP+ uplinks compact in 1RU, this 48 port PoE gigabit switch owns high density and space saving features. As a 48 port gigabit switch managed, it supports both Web Interface and CLI command. Therefore it offers enterprise-class functionality of free configuration, strong security and reliable RSTP. As PoE+ switch, it complies IEEE802.3af/at standard. Thus the PoE network switch can auto figure which standard the PoE enabled device supports and then supply power to it. To deploy S1600-48T4S 48 port switch, you can flexibly put it in a rack, on a wall or on desktop. Power on the switch. Then connect over 40 APs or other PDs all over the building with only one each cable is required to run for them. Figure 2: S1600-48T4S 48 port PoE switch connecting to VoIP phones, wireless APs and IP surveillance cameras for intelligent switching and networks growth. Take a long-term view, 48 port switch with high port density provides abundant ports for your current devices and room for future network growth. Buying a best 48 port switch requires one to consider its own demands for specific applications. Based on which, one should take based speed, uplink port configuration, PoE capability and other personal requirement into consideration. 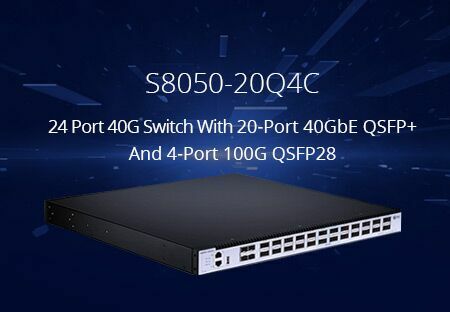 For cheap 48 port gigabit switch, we recommend you classic one S3800-48T4S and 48 port PoE switch S1600-48T4S. For 48 port 10Gb switch, you can also find one with decent offer in FS.COM.